Together we make an awesome team. We’re ready to do it again if you are! syndicates cashing in on the billions made from the sale of illegal animal products. On the black market, rhino horn is currently worth more than gold or cocaine! 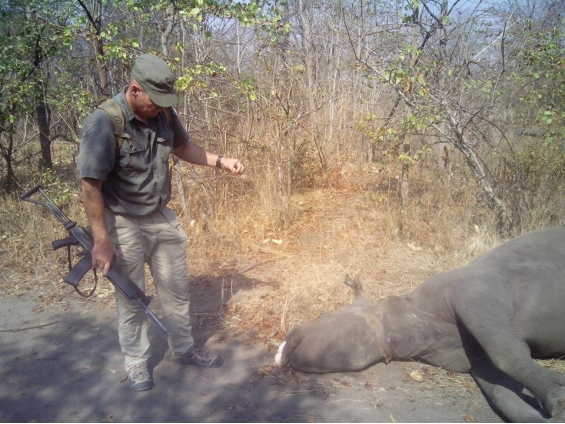 a wire snare found near a dead rhino in Malawi. The teams who pursue poachers must have the most advanced anti-poaching training to beat these villains. the poacher on the ground. We teach the teams how to go after the entire syndicate. 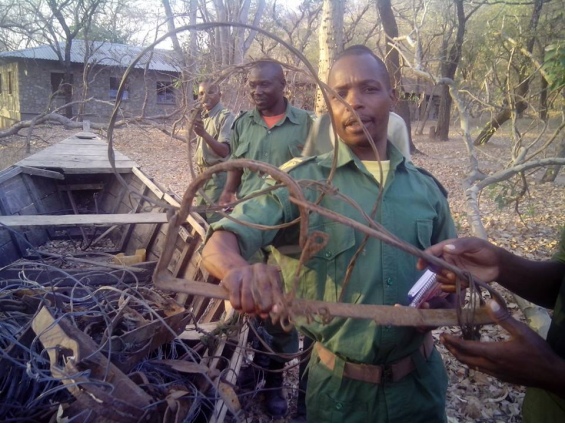 rangers display gin traps which are used to poach larger animals. to the men in their command. At least 750 rangers are receiving instruction from our previous trainees. Malawi rangers plan an anti-poaching operation with the guidance of our trainer. During our training, many poachers and traffickers of ivory have been arrested. In Malawi an entire syndicate was uncovered and arrested. 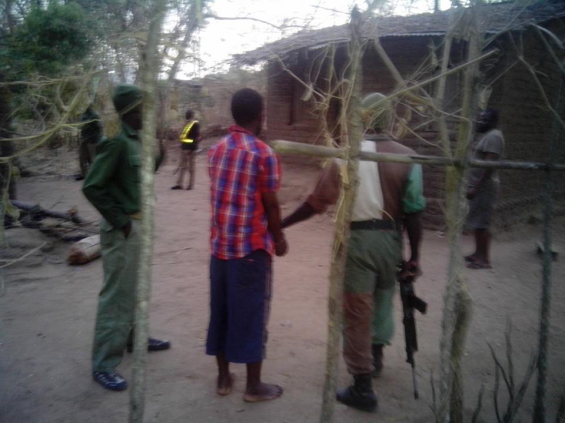 An accused ivory trafficker is arrested after investigative work by rangers and our trainer. The rangers are extremely grateful for our training. On average two rangers are killed each week while protecting wildlife from poachers. We teach them how to stay safe and to protect one another as well as the animals. 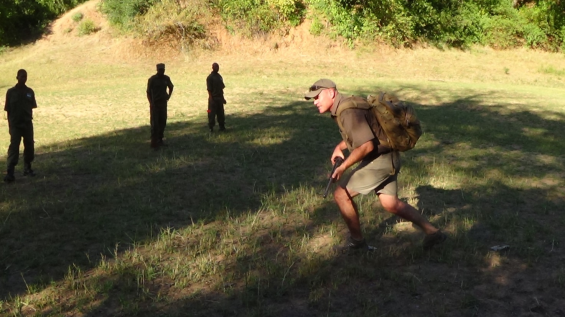 Rory Young teaches the trainees proper formation when tracking poachers. 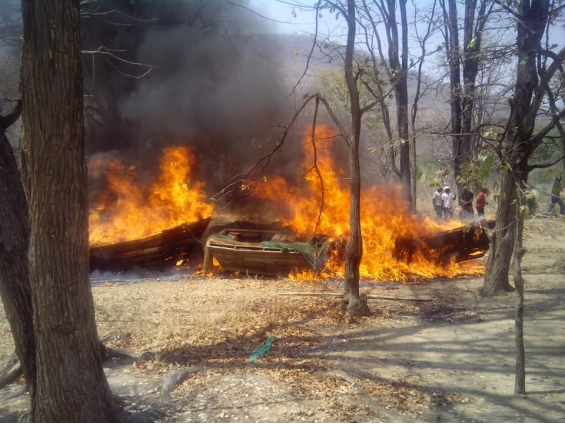 Poaching equipment confiscated during our training operations is burned. *** ALERT – African Lion & Environmental Research Trust Chengeta Wildlife has entered into an invaluable partnership with ALERT. through Coventry University in the United Kingdom. *** The European Union has provided a portion of the funding for the Guinea training sessions. “I think I know a good cause when I see one, and Chengeta's is up there with the very best. This training already has the makings of a real game changer in Guinea. Anything else that can be done in this direction deserves support." Ministry of Environment, Water and Forests has contracted with us to train the rangers protecting their wildlife. 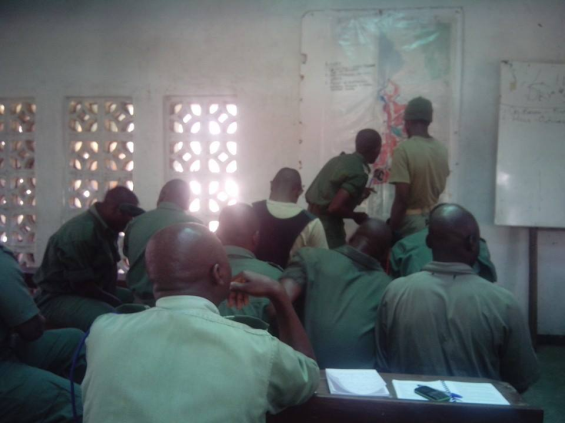 Guinea has never before had anti-poaching ranger training. This program will be a massive benefit to the country and their wildlife. Department of Parks and Wildlife has contracted with us to provide training for their rangers. In 2014 we trained the top officers from each of Malawi’s National parks. In 2015 our trainers will provide specialized training at 6 parks. National Institute for Environment and Nature Conservation is requesting our training for their anti-poaching rangers. television series based on our work. We are seeking backers for his project as well. $25 = Printed field manuals for 10 rangers. $45 = Compass for one ranger. $100 = Rations for 10 men for one day, 3 meals and hygiene products. $500 = Advanced anti-poaching training - a 21 day session for one ranger. Donations are tax deductible under US law. Every cent donated will be used for our training program. Our overhead costs are covered by our board members and our organization is run by volunteers. give financially, please share our story. We can’t do this work without you. If we reach our ultimate goal of $80,000 we will be able to run 8 training sessions and train at least 160 rangers. Those rangers will be qualified to train the men in their command which will extend our training to another 800 men. A sincere thank you email. 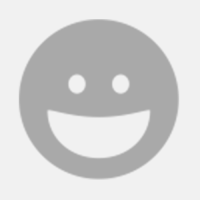 A heartfelt thank you email. Wooden elephant key chain carved in Zimbabwe. Black & Grey Baseball Jersey 3/4 length sleeve with Chengeta Wildlife Blood Moon Logo and a heartfelt thank you email. Hooded sweatshirt with Chengeta Wildlife Blood Moon Logo and a heartfelt thank you email.